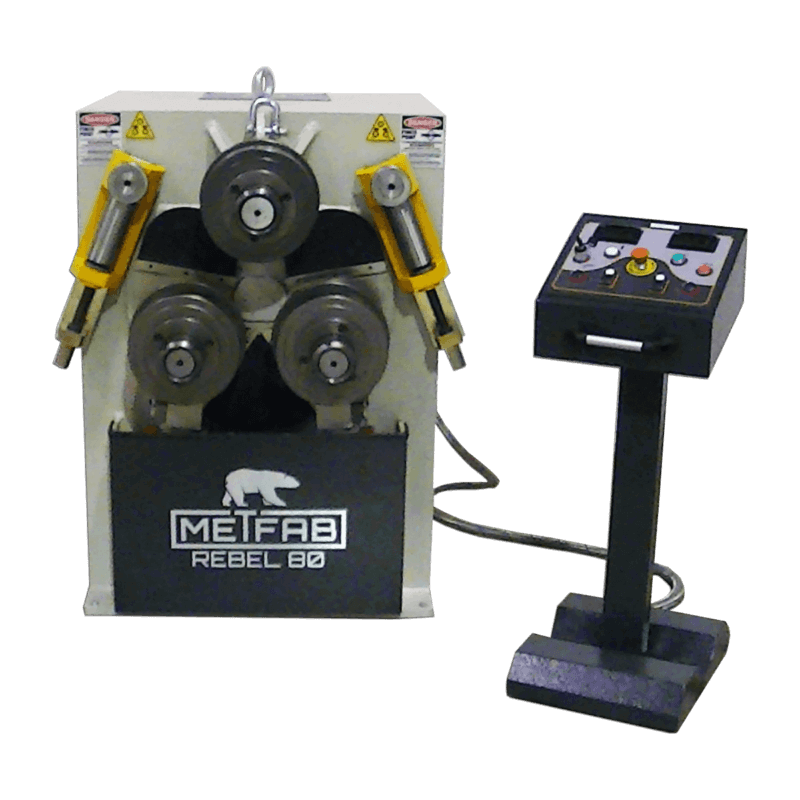 The hydraulic Angle roll Rebel 80 operates in vertical or horizontal position. 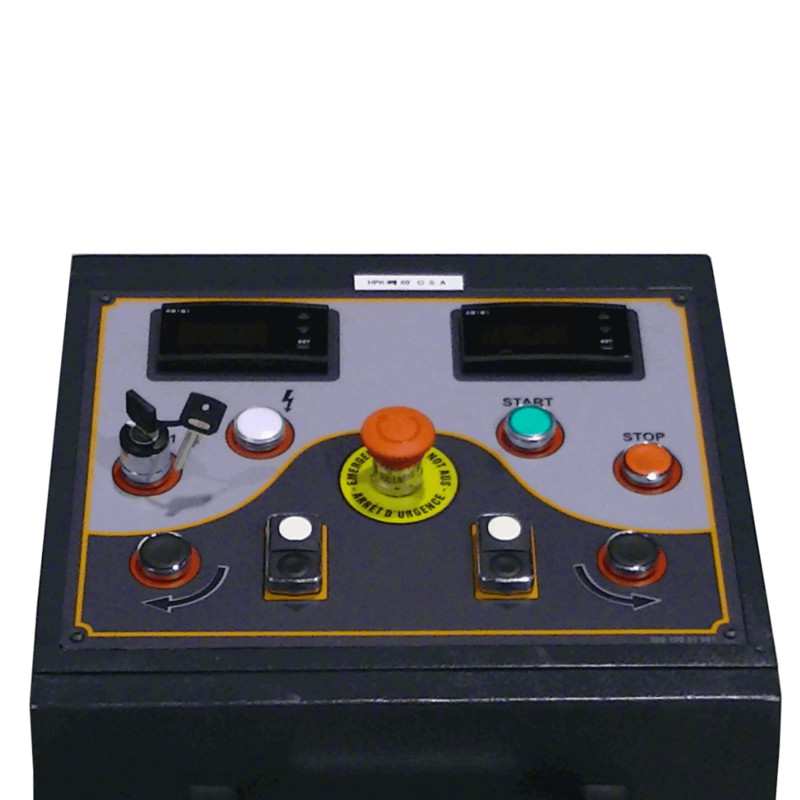 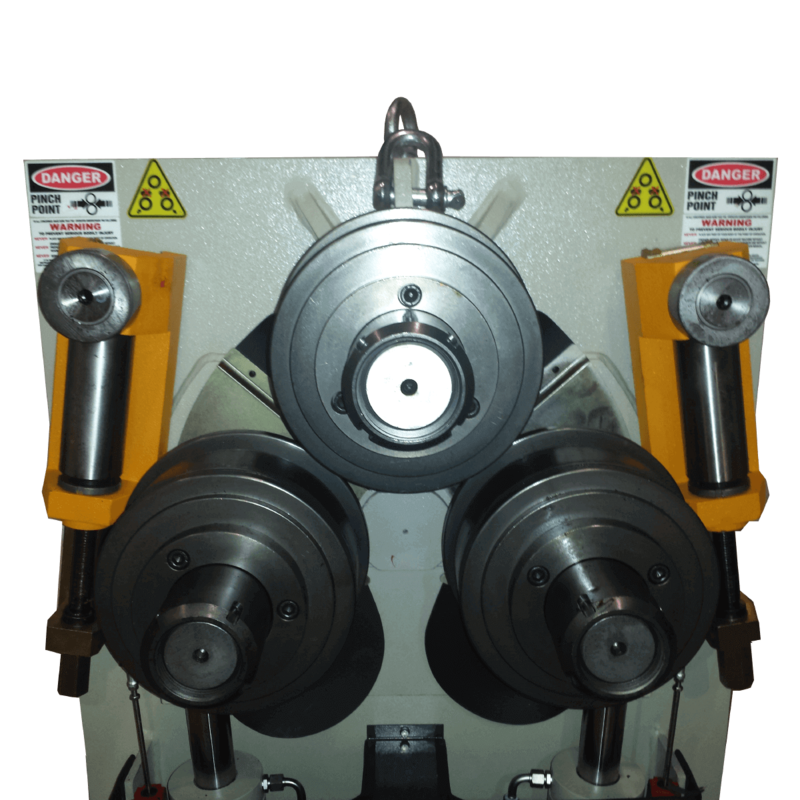 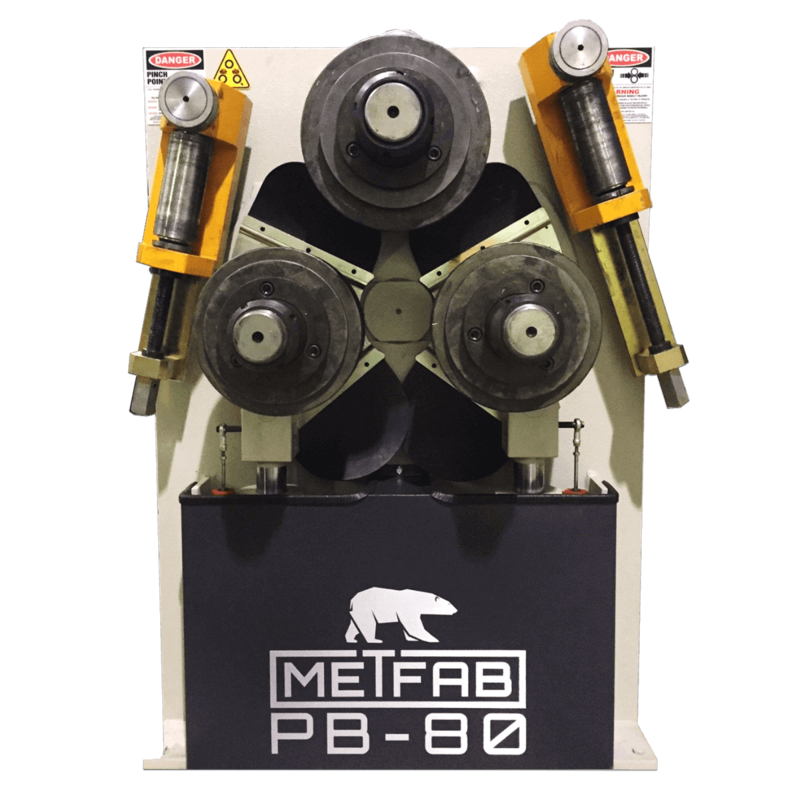 This angle bending machine has 3 powered rolls in pyramidal position. 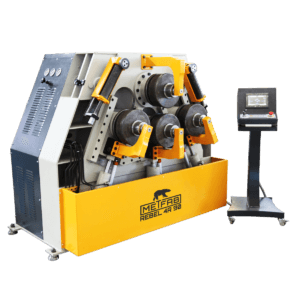 The shafts are made of high tensile steel. 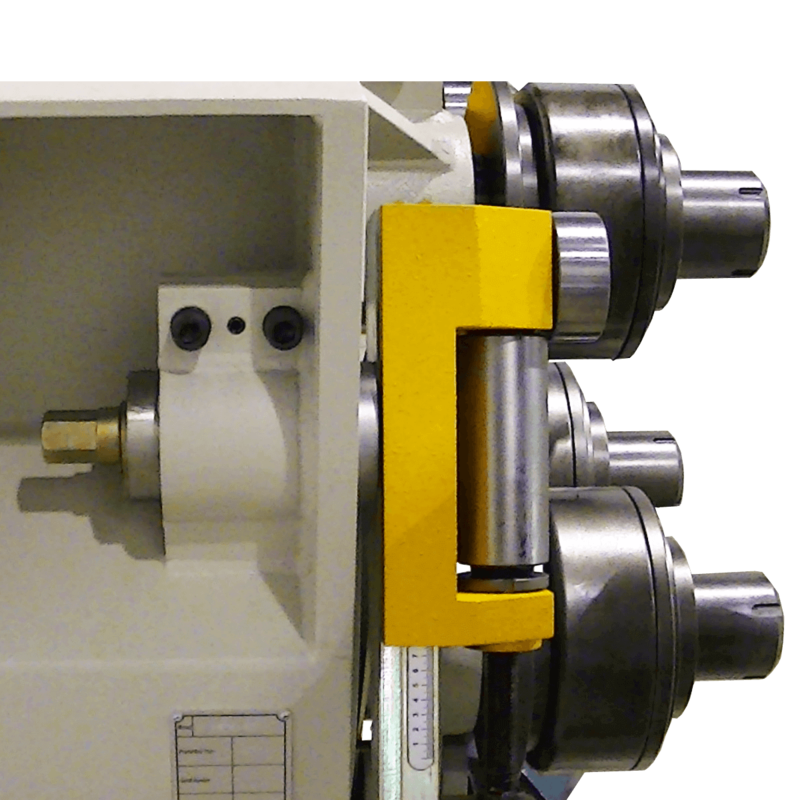 The mechanical axis are three-dimensional, they can be moved from up/down and back/forward, allowing better adaptation to the different bending radiuses. 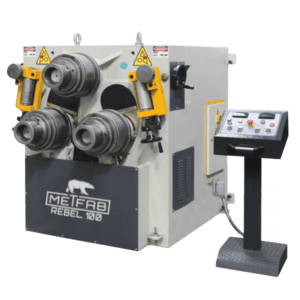 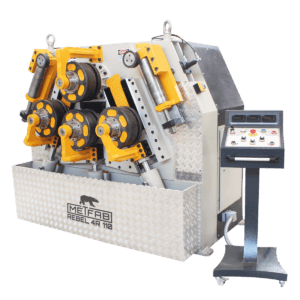 With its 4 kW hydraulic motor, the roll bender is efficient for rolling pipes, profiles, angle iron or flat bars. 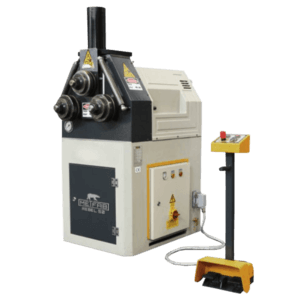 Its universal standard rollers adapted to all types of sections and pipes. 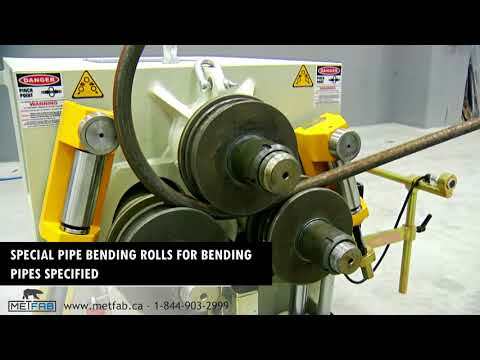 Some special bending tools for HE, INP and UNP beams can be added as extra accessories.